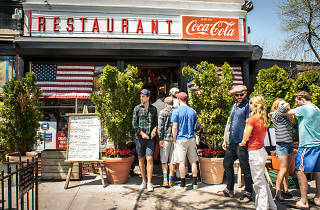 Not much changes at the beloved Brooklyn institution, Tom’s: The lemon-ricotta pancakes slathered in a medley of butters are still heavenly, cherry-lime rickeys maintain an old-soda-shoppe allure, and on weekend mornings, a line of hungry diners of all ages—munching on cookies and orange slices proffered by friendly staff—stretches around the block. 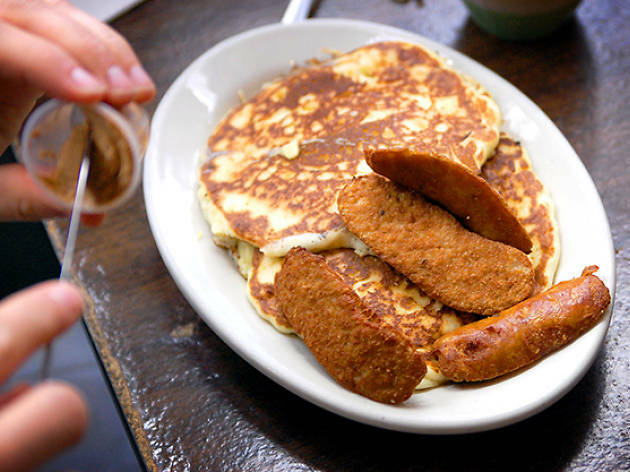 A borough favorite since its opening in the 1930s, this neighborhood joint goes beyond basic diner, offering fluffy chocolate-cake French toast and some of the best egg creams in town. Tom's is such a perfect little establishment close to Prospect Park, the Brooklyn Museum and Brooklyn Botanic Gardens. If you're in the area, it's definitely worth coming for breakfast or brunch (the earlier the better, this place usually has a line). Make sure there's an order of some type of pancakes for the table and everyone will be happy. 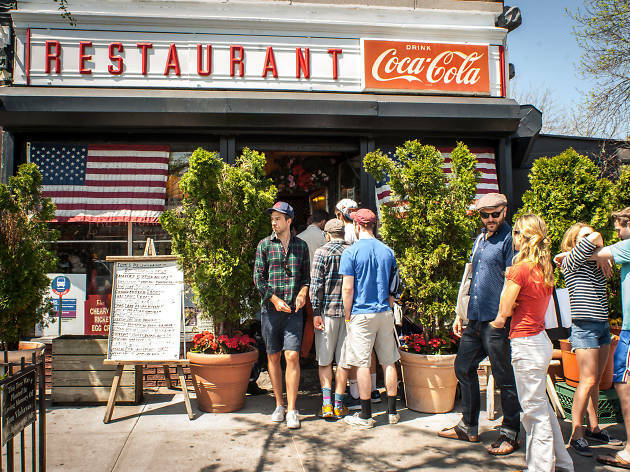 It's one of the last "diners" in Brooklyn, so get there while you still can. Just true class. The best around! Tom's is the epitome of the Brooklyn Diner. It's cozy and crowded and there's a line down the block to get in--but that's absolutely part of it's charm! You won't wait too long, so don't get scared when you see the line wrap around the corner (they also feed you and bring you water/juice/coffee--score!) The food is typical diner food, but always good. The staff is friendly and they get to know the locals. If you're nearby, definitely stop in! 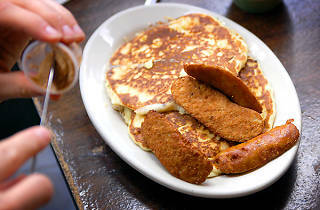 Homey, kitschy and deliciously filling—this is the perfect diner. If you go here during prime brunch hours on the weekend, there's always a wait but the line does move quickly and the staff are incredibly nice. They serve you coffee while you wait! If it's nice out, I'd recommend grabbing a seat in the side room which is surrounded by windows that let in great light.